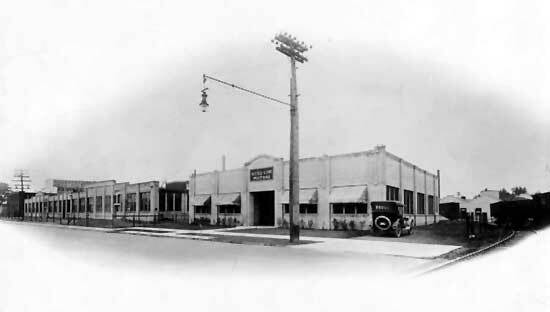 Part One of Detroit Hupmobile plants. 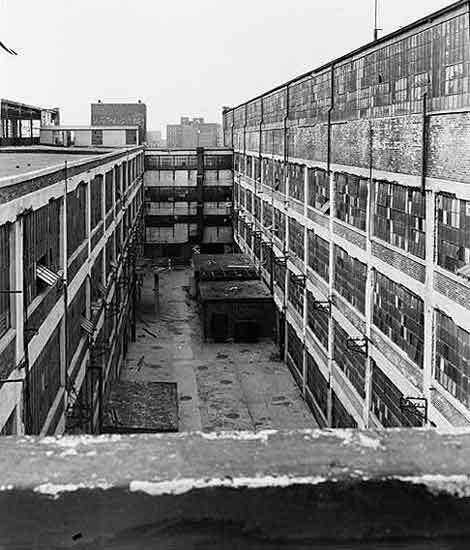 The first photo is the Jefferson factory. 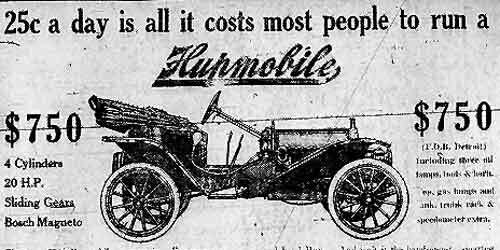 An ad for the 1910 Hupmobile, made in the Jefferson Ave plant. I may post an inquiry on the AACA forum to see if anyone can pin down the Hupmobile factory dates. 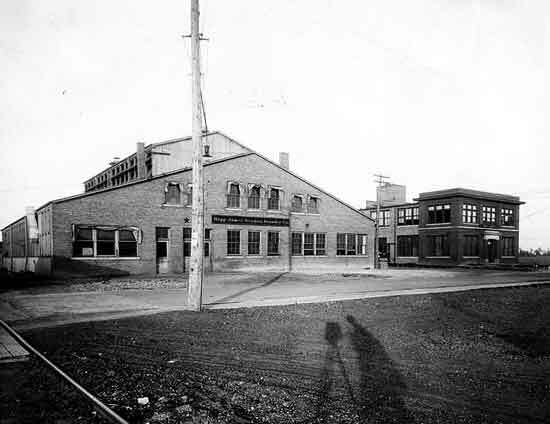 I posted this picture on this thread, at which time I concluded that it was the former factory of the Detroit Gasket & Mfg Co. The map at the bottom of the thread showing Detroit Gaskett is from 1947. 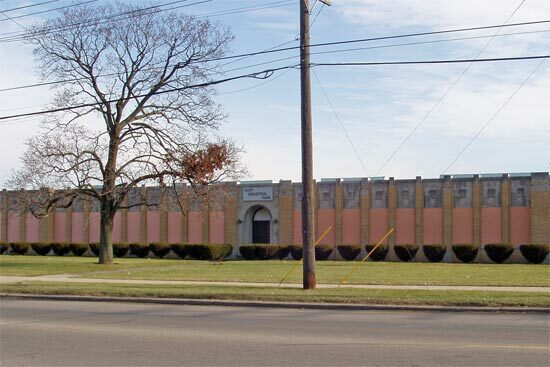 In 1925, Detroit Gaskett was at 1230 Wilbur St, south of Henry Ford Hospital, so they must have moved out of the city to expand. 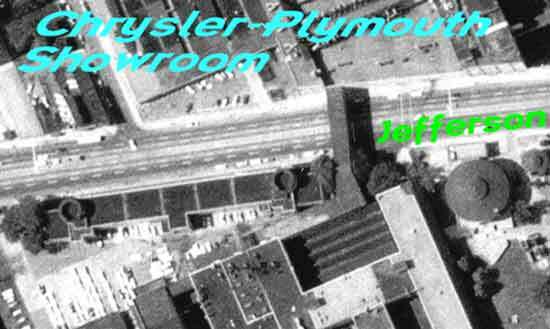 Today I discovered in a 1973 Polk's directory that it is listed as Chrysler's Burt Road Export Plant, 12640 Burt Rd. Perhaps the best Hupp historian around is my friend Bill Cuthbert who put out his book "THE HUPMOBILE STORY" in 2004. 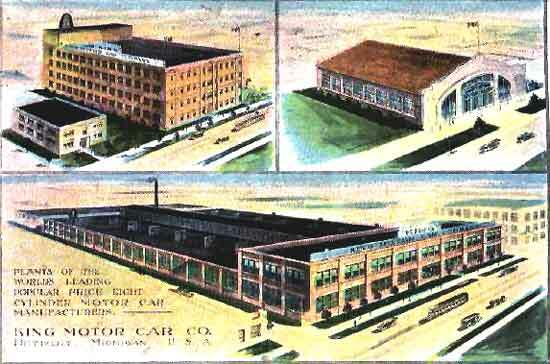 On page 41 he quote ATJ June 1 1912 "Hupp Motor Car Company Detroit Mich. new plant Milwaukee and Mt. Elliott Aves. 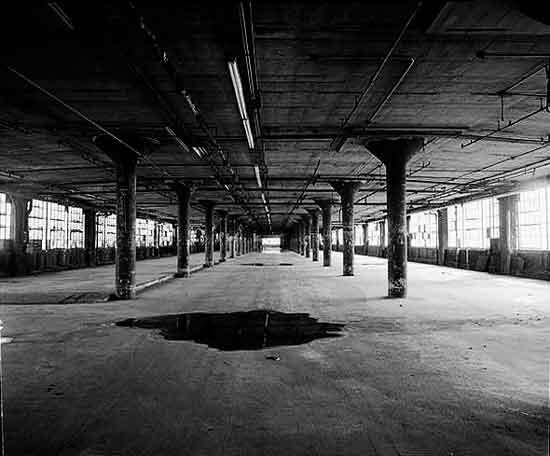 is now complete...by March the Detroit production facilities had been relocated to new quarters at Mt. Elliott and and Milwaukee Avenues." 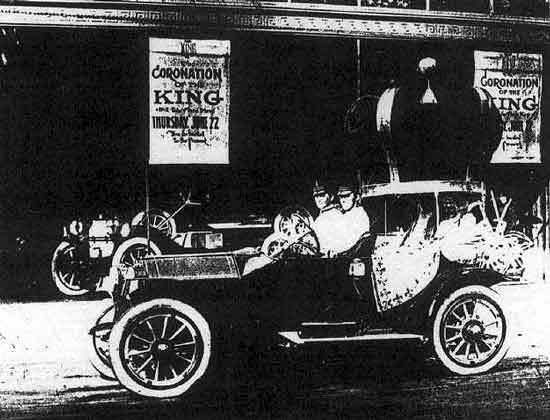 Then from HA February 21 1912 the King Motor Car Co "will remove on or about March 1 to the factory now occupied by the Hupp Motor Car Co. Jefferson avenue east and Concord avenue Detroit Mich. So it appears the move took place the first few days in the beginning of March 1912. Up to this time it looks like the Hupp factory was just an assembly plant purchasing parts and pieces from local suppliers. One question is who supplied the Baby Hup unit power plant? 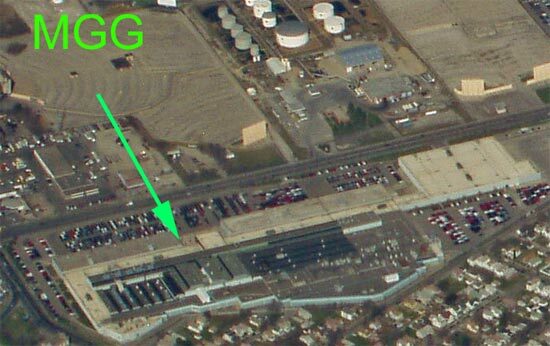 I think the best canidate is Golden Belknap & Swartz [GBS] that was located on GRA a little before WGB. I have pictures of the GBS 1913 unit power plant model which appears to be the same design as the Baby Hup engine but am looking for a GBS picture or advertisement in the 1909 to 1912 period. Thanks for the info S-B, our main source, the Szudarek book, is less than clear on the subject. 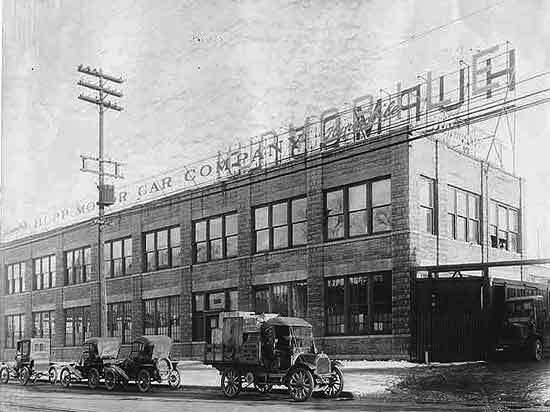 Part Two of Hupmobile's Detroit factories. This first photo provides a clue that we should be able to track down to determine and/or confirm its location. I suspect it is the Bellevue factory. 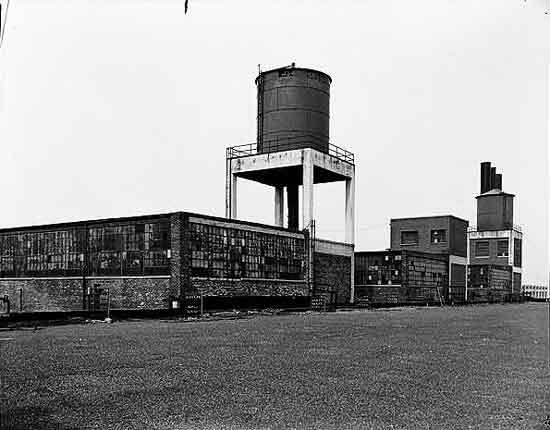 The sign by the door reads "Hupp Motor Car Co."
A close up of the water tower in the background. Today's tour concludes with our old friend, the Hupp/Hupp-Yates/R.C.H./Liberty/Kess-Line factory on Lycaste. The last iteration as Kess-Line, again for old times sake. A close up from the K-Line photo showing the Ice(?) plant in the background. It also appears that what are two buildings in the Hupp photo are now joined into one. 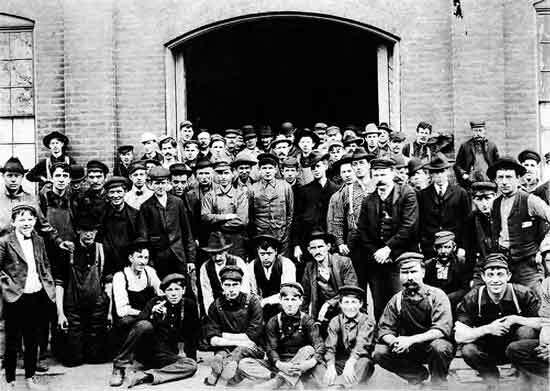 Finally a shot of the boys at the Hupp plant, probably from the first years. 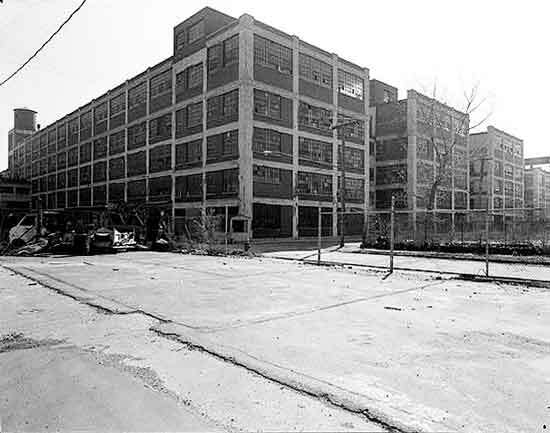 For more on Fisher 12 (1961 E. Milwaukee)check out page 1 or 2 for overhead before/after images - you can still see the outline of the plant after demolition. Good job posting the HAER photos, I only had a link before. Bate, I might be available. I'm off to Airbus school for the next two weeks, but I might have the weekend off. I'll send you an email later in the week. Back on page 12, I mentioned that Briggs had a plant on Harper that burned down. Today I found this picture and some details. It was at the corner of Harper and Russell. 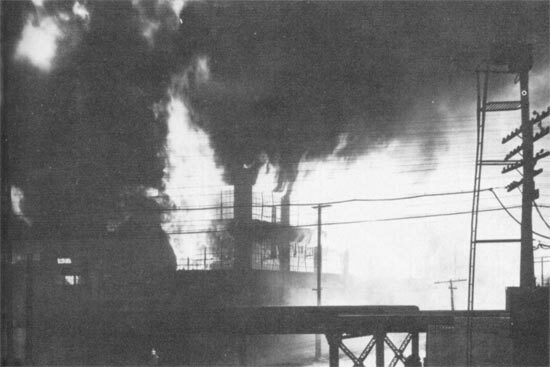 An explosion in the spray painting department started the fire on April 23, 1927. It burned for two days, killed 21 people, and with the loss estimated at $2,265,000, it became the city's first $2,000,000 fire. I wonder it the film from the cameraman on the right exists somewhere. 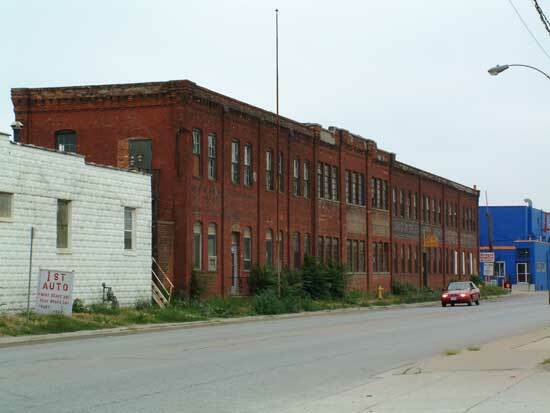 I briefly mentioned Gemmer on page 5 of this thread where I posted that they set up shop in town in 1907 at 741 Merrick Ave. On page 9, the history of Divco says that they expanded into the former Gemmer factory at 2435 Merrick, corner of 16th Street, which is what the 741 address translates to after 1921. I have no date for the move of Gemmer to Mt Elliott, nor for the move of Divco to the Merrick Ave facility (sounds like late-1920s). 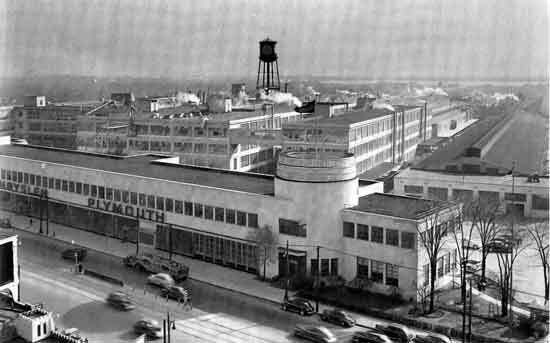 Divco went bankrupt, was sold to Continental Motors, and production was moved to the Continental factory on E Jefferson in 1932, and to Hoover in Warren a few years later. 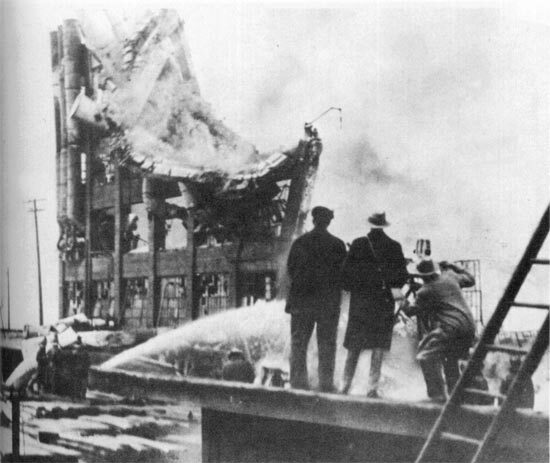 The factory was abandoned and burned down on June 15, 1939. The sign over the door says "Burt Industrial Park" and upon closer inspection, I found these two carvings on either side. 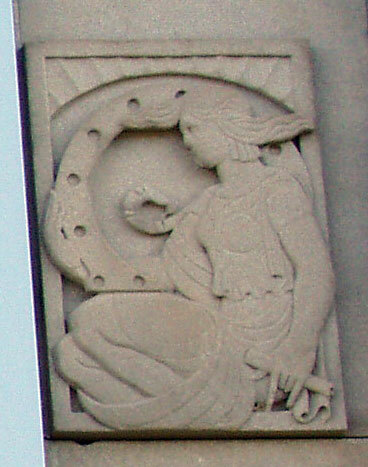 I suppose since the woman is holding a gasket, we can assume the plant was built for the Detroit Gasket & Manufacturing Company. The back end of the building is being used as a mental health clinic while the front end is being rehabbed. At the very back, a set of loading docks has "Receiving" and "Shipping" signs above, both in that standard GM blue they use for signs on their property. 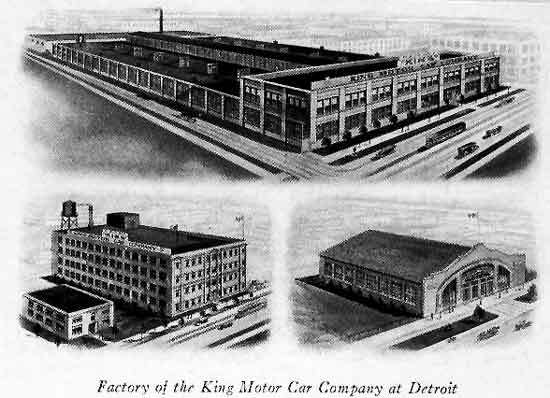 Part Three of Detroit's Hupmobile factories. 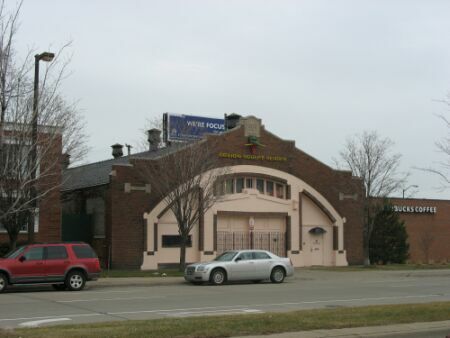 This is the Hupp plant on Milwaukee and Mt. Elliot, aerial view from 1949. 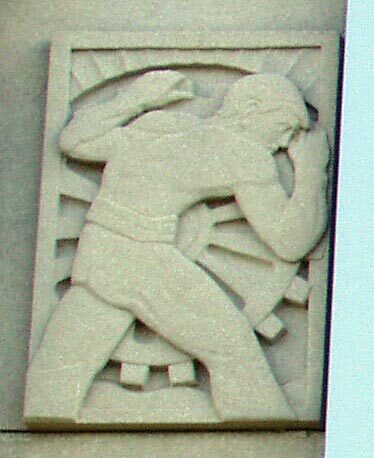 The next seven photos are from the Library of Congress, Built in America gallery, documenting buildings demolished for the Poletown plant. Courtyard between buildings 7 and 8, looking west. Watertower on roof looking northwest. 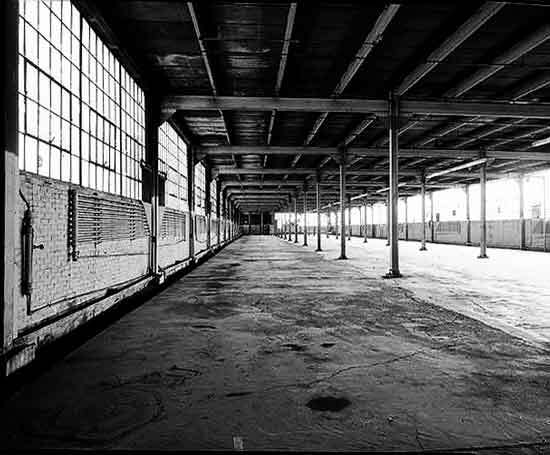 Interior of 4th floor, building 8. Interior of 5th floor, building 8. 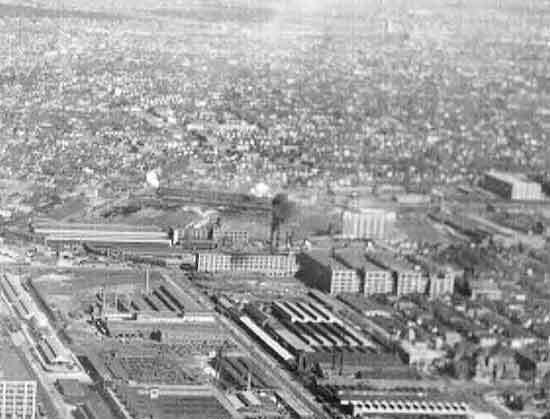 An aerial view looking east from the 1930s. Dodge Main towards the lower left, Hupp center, Packard mid-upper right side. 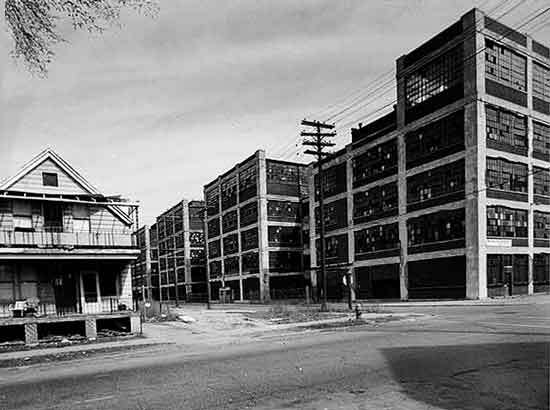 I've posted pictures of the DeSoto and Graham factories earlier. Here's the best I could do for the Universal plant on Kingsley. Kingsley is residential on the west side and the plant is walled off for the benefit of the residents. 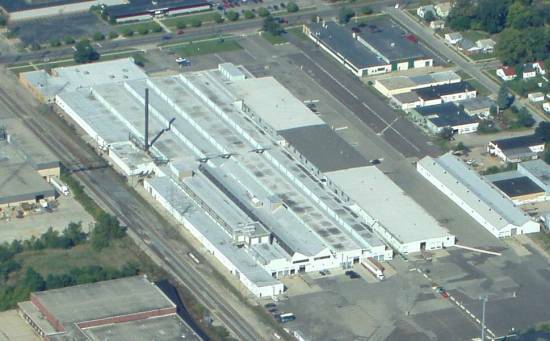 The east side of the plant is hidden behind the huge Seamless Tube factory, which is now called the Dearborn Steel Center. I think Universal made drivetrain components. 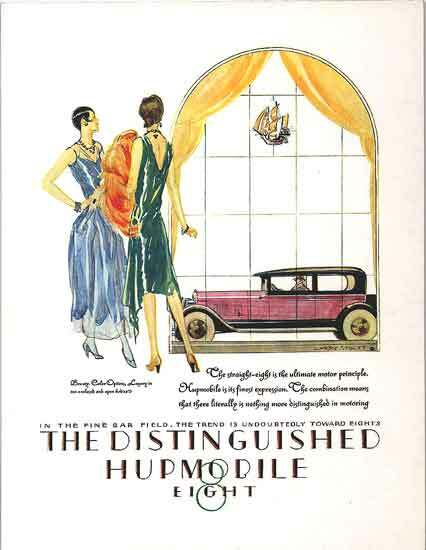 To keep it international, an ad from France for the 1930 Hupmobile. 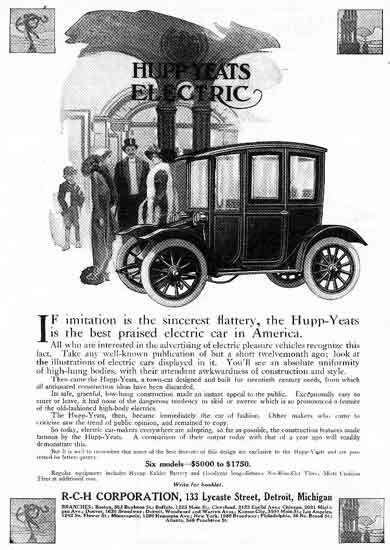 This is an ad for the Hupp-Yeats electric car, later R.C.H. 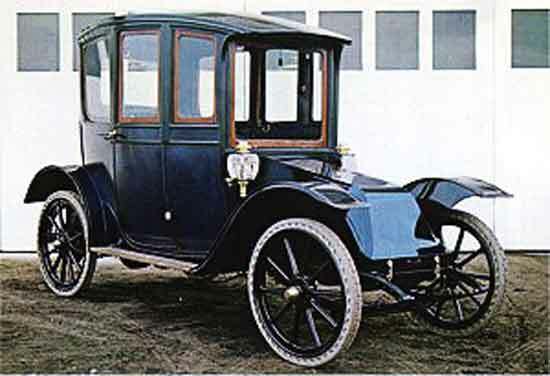 A photo of a 1911 Hupp-Yeats from the Reynolds-Alberta Museum in Wetaskiwin AB. Finally, a color ad from the 20s, just because. I think I posted that Hupp one a while back. The building is still standing, however it is converted to office use. Lkingsr is having some difficulty in posting to this thread, so he sent me these images to post and resize. I took some liberties in PS to get some more detail out of them. Thanks for the photos and info! 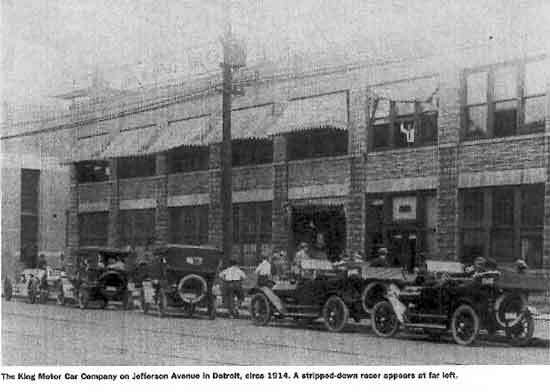 The first photo is from a newsletter showing the King factory on Jefferson, former Hupmobile factory, from 1914. 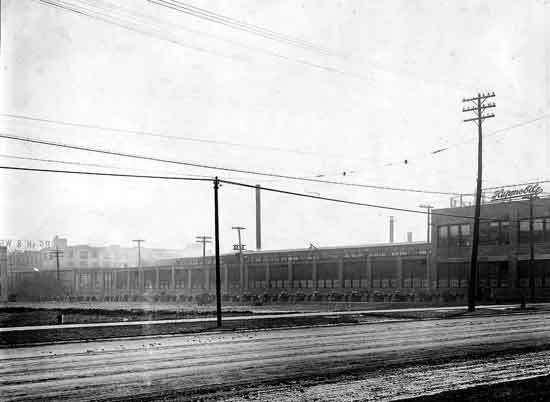 The next photos are from a postcard and a manual showing the King factories, from around 1916. Any ideas of the smaller building? I don't think I've seen the arch roofed one before, maybe a dealership(?). 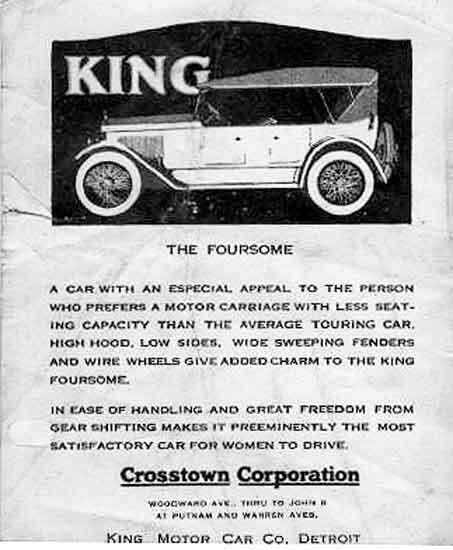 The last photos I found especially interesing, they are from a pamphlet announcing the opening of a large King dealership on Woodward and Warren in 1920, called the Crosstown Corporation. Have we covered this at all, or is it new information? 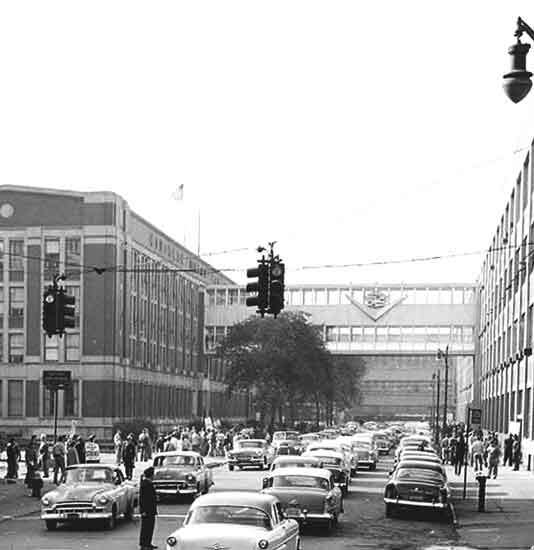 So it looks like the Crosstown Corp was where the Rackham Memorial Education Building now stands, unless I'm reading the map wrong. Since that was built in 1941, the Crosstown only lasted 20 years. I'm searching for photos of that intersection, but it seems only Art Centre Bowling (22 lanes!) survived the Rackham construction. 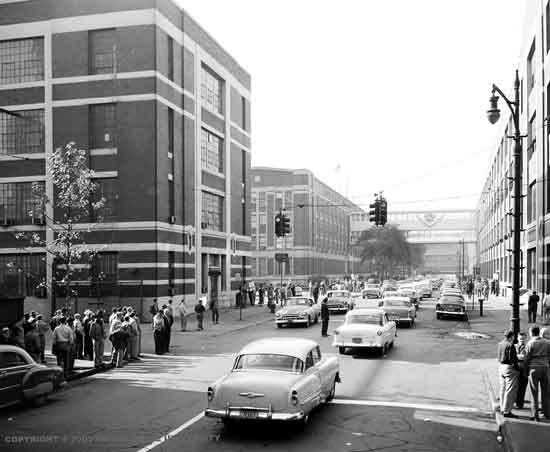 Looking at the drawings and photos of the Hupp/King plant on Jefferson, and from the aerial posted earlier, it looks like that was demolished to make way for the U.S. Rubber/Uniroyal plant expansion. Aiw, it appears that the Seagrave factory hasn't been touched and is in original condition. 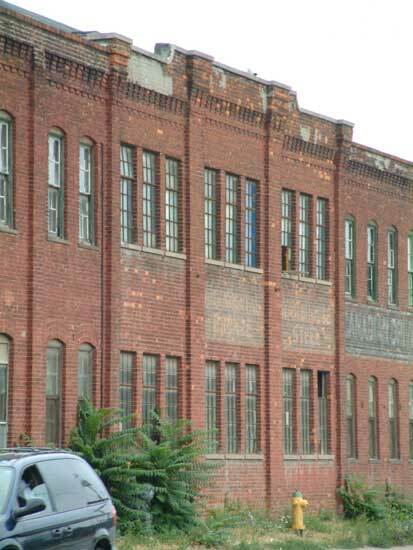 Some anonymous person should come up with a "Historic Auto/Truck Factory" stencil to put up a sign in a conspicuous spot, not that I'm advocating graffiti in anyway. Perhaps one could apply for a grant to mark these buildings for purely educational purposes. Mikem, you posted so much Chrysler info, I don't know what to include in the db. I'm starting to move parts only factories into the parts section, and am changing some of the parts entries into motor. The main "A" is only going to be for assembly plants. or as close as they can to that. 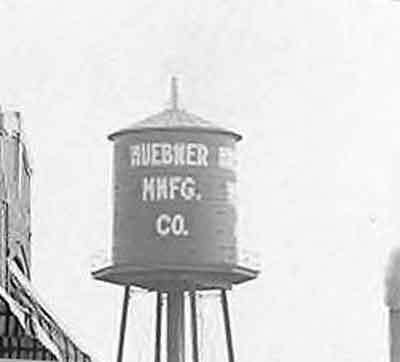 Huebner Mfg: I haven't been able to find anything on the web about the firm. My google-fu fails me. So that Hupp Motor Co location isn't decided. New companies (and new names) were added to the Dana Corporation. Auburn Clutch, a well-known manufacturer of light-and heavy-duty clutches; Chelsea Products, a leading designer and producer of power take-offs (PTOs); and Con-vel, which owned exclusive U.S. rights to the Rzeppa constant velocity u-joints, were acquired in the late 1940s and 1950s to broaden Dana’s “under-the-vehicle” product offering. I'll let you google pictures of Rzeppa joints. I'll try to find the frame plant they bought. Horwrecker, the Seagrave factory is in largely original condition, it was however expanded from the original as business increased. 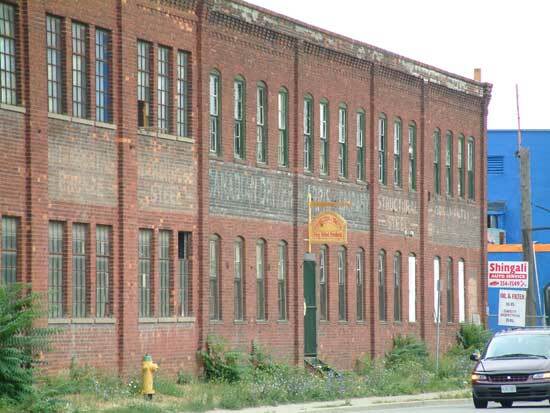 If any of the old factories in Windsor was the most threatened, it would be this one. It has been mostly vacant for a long time, and is detreriorating. Every once in a while demolition rumors float around, but nothing ever comes of them. Aiw, it looks like they did a great job of expanding the original building. As it appears to me, the section on the right was the original, and the center and other wing were added complimenting the intial bldg. 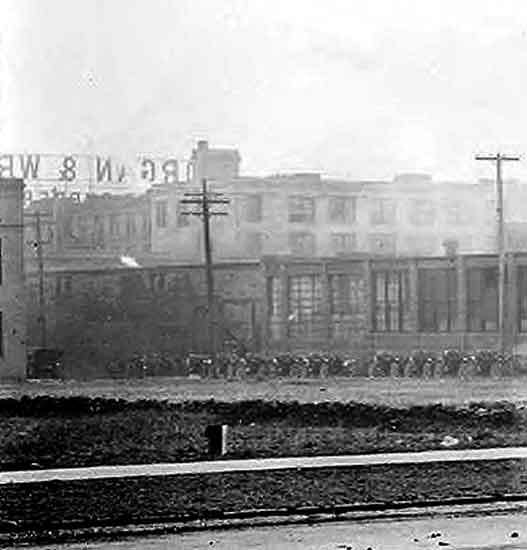 If the neighbourhood still looked the way in that 1913 pic, that building would be the perfect size for apts or condos. Better yet would be a fire dept museum. 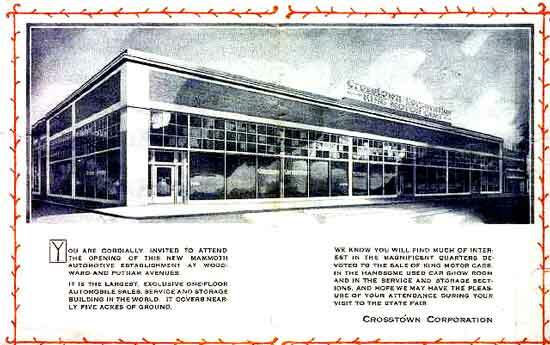 I've received another scan from Lkingsr, this one of the dealership on Woodward and new car line announcement. I dig that cool, giant crown on the back of the car. Oops, wrong generation, I mean... 23 skidoo? 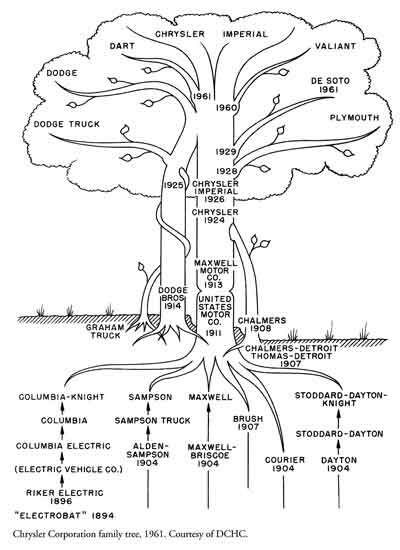 I found this family tree in a book I'm reading about Chrysler history. I wish I would have seen this earlier while trying to figure it out. From: "Riding the Rollercoaster, A History of the Chrysler Corporation." Charles K. Hyde, WSU Press, 2003. I posted this on another thread, but think its important for people that only come to this thread. Is a new map program that drives you down streets and shows what buildings on there! Its a somewhat clumsy to use, but pretty good pictures. I went out on Sunday with my camera looking for buildings I haven't photographed yet. Of course I ran into others with cameras. We need to wear OCF hats to identify ourselves to other explorers. I drove by the Federal Truck plant. It was a hubbub of flea market activity. 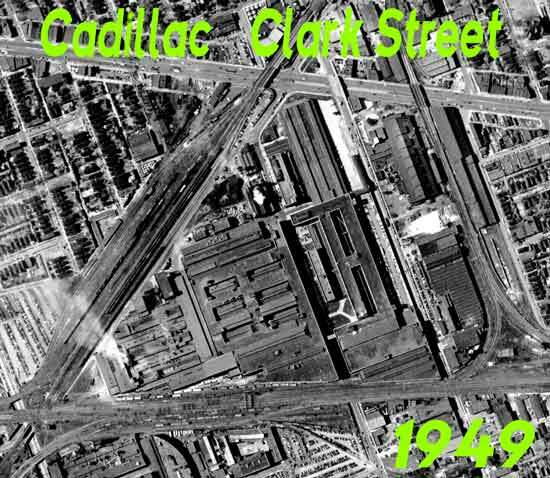 Does anyone have old Cadillac Clark St. pictures? 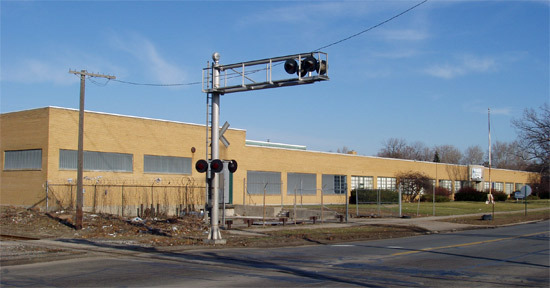 Crossing town, what was the old factory building/now condos at Bellevue and Jefferson? 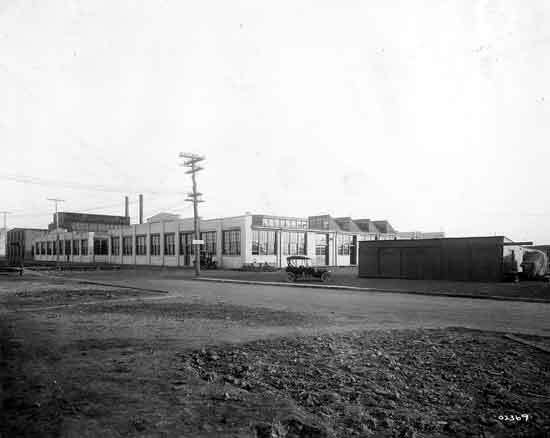 MikeM, do you have a photo of a factory at Custer and John R.? 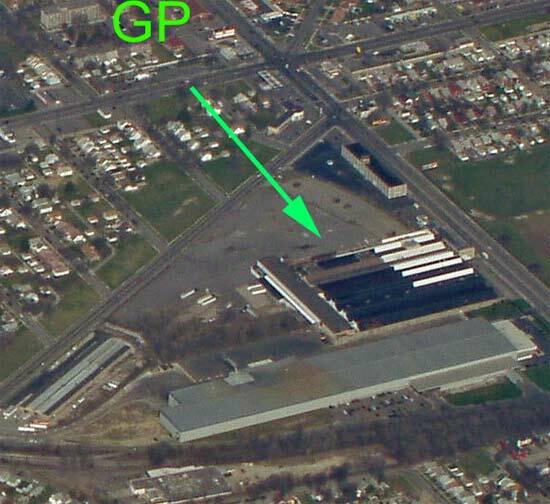 That is the location of Cadillac plant #4. Have we discussed that already? Here is a link to a 1922 Cass Tech Mechanical Drawing text book. Check out the homepage, this site has many old technical books online. 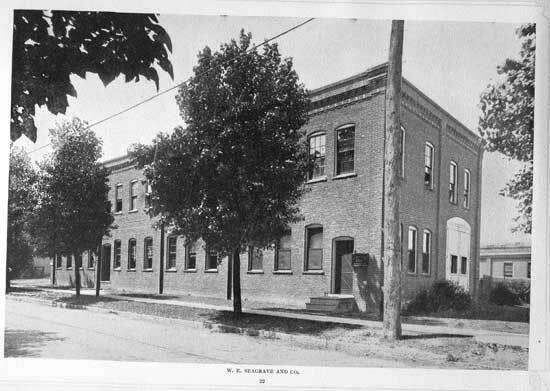 Jefferson at Bellevue is the location of the Frederick Stearns & Company, a manufacturing pharmaceuticals firm. The building was designed by Stratton and Baldwin in 1899, with a tower addition by Albert Kahn c.1910. It was renovated in Schervish Vogel Merz in 1989 when it was turned residential as The Lofts. Federal Truck, as did Cadillac, apparently got great railroad service, being serviced directly from both the Detroit Line and the Michigan Line. I checked the archives, and I don't think that these photos have been posted before. 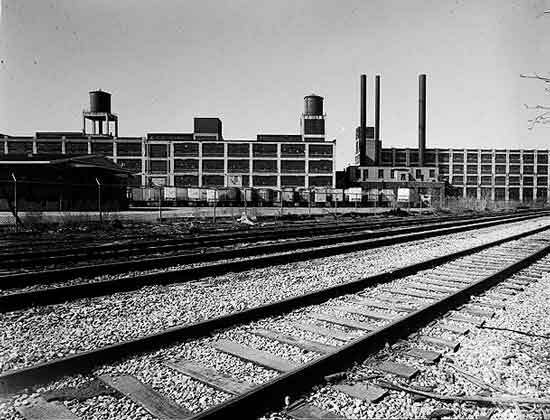 The first is the Cadillac Clark St plant in the mid 50s. A close up of the bridges across Clark (?). 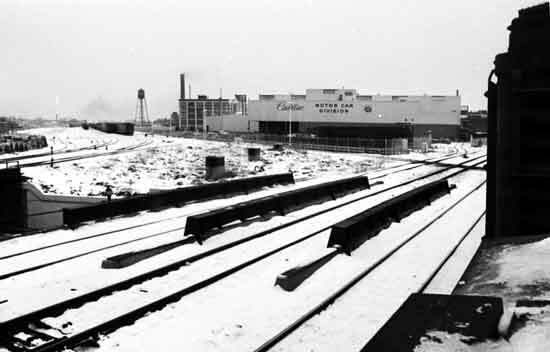 A view from the railroad side, showing both lines, probably from the 1970s. All photos from WSU, beware their mislabelled photos. Sven, any idea of a street number for Cadillac #4, and what date was the map from? The Clark Cadillac was almost a city in itself. I can only imagine how busy the local bars were before the 1980s. You're not kidding about being a city. Never be driving near there, back then, during shift change. I got stuck near Dodge Main once during shift change, that was the last time that ever happened. 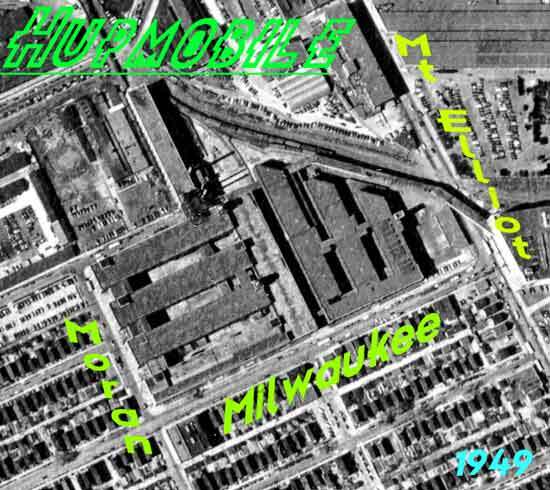 Here's an aerial of Clark St from 1949, just as a reminder of how big. 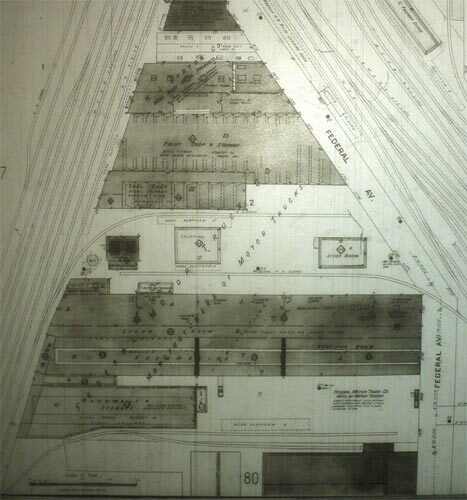 There was a huge underground tunnel system underneath much of the Clark Street plant. I hear that some of it isn't all destroyed (or covered up adequately) on account of some stories I've heard from some curious explorers. 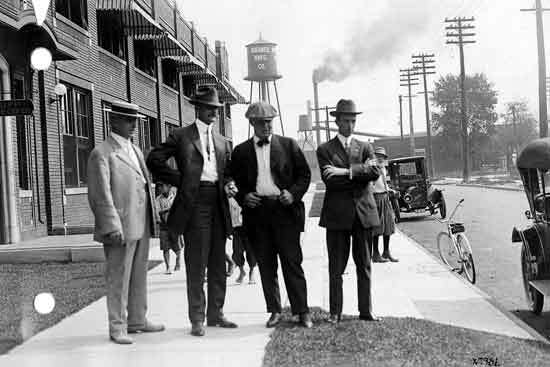 Hornwrecker, I believe the Caddy plant address is 1301-1309 John R. The map is probably from 1915. This picture matches the King picture above and the map in an earlier thread. It's on EGB near Jefferson. Good find Sven, that's got to be the building. Amazing that it looks like it hasn't been changed all that much in all these years. 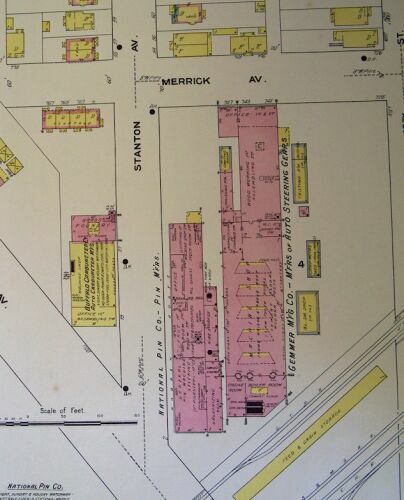 Was that the bldg labeled as King Chassis Shop, or something like that on the Sanborn? What does the sign say? 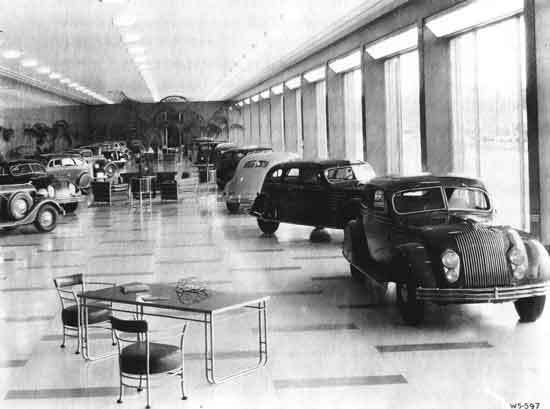 Here are a couple of photos of the Chrysler-Plymouth factory showroom that was in front of the Jefferson Ave factory, 1933. The new 1934 Airflows are here! An aerial view from 1949. Thanks, Sven, for mentioning what the sculpted sign over the door says. Dave and I have looked at that building numerous times, puzzling over the sign. 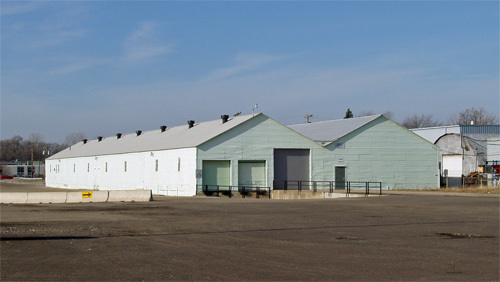 The use of the building as an automotive facility never even crossed our minds. I think today it is used as an artist design studio, and we thought it might have had a similar use in the past. 390 third Avenue, detroit, Mich. I am looking for any information on this company. Also I am interested in selling this 12x24 black wood frame. it has some water damage but you can see the 2 funeral coaches open and closed sides.. I haven't taken it out of glass because I think it will damage the photo. Looks like it may be stuck to glass and don't know what to do to loasen it. Thanks email at photoallisme@aol.com if interested. I have enjoyed looking at the old car factories sites especially because i have a 1938 buick model 48 2-door all original. straight eight engine and 6-volt electrical.